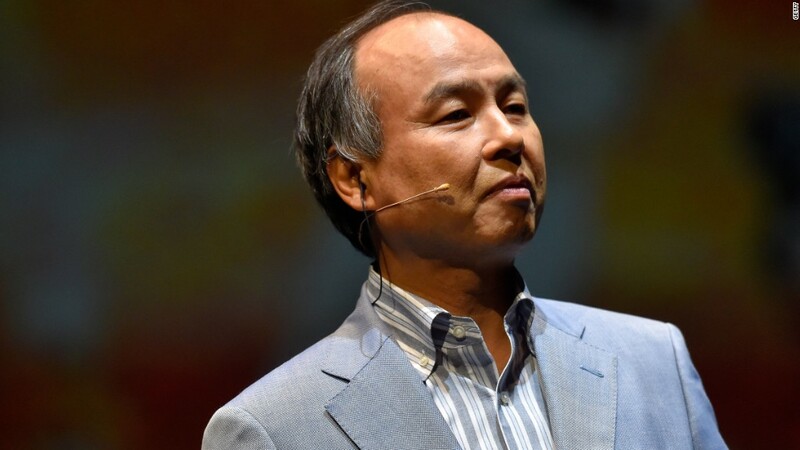 Japanese billionaire Masayoshi Son may not be so similar to Warren Buffett after all. Softbank (SFTBF), Son's deal-hungry tech company, is no longer pursuing a stake in European reinsurance provider Swiss Re (SSREF). The Zurich-based insurer announced the news in a short statement Monday, but it didn't explain why the two companies called off the talks, which were first made public in February. Son has previously said he wants to be the Buffett of tech. A big investment in the insurance business would have added fuel to the comparisons between Son and the Berkshire Hathaway (BRKA) boss. Berkshire's core business is insurance, and Buffett uses the cash it generates to invest in blue chip companies. Media reports in recent weeks had suggested that Softbank and Swiss Re were struggling to reach a deal. Softbank is said to have wanted a stake of about a third in Swiss Re and a number of seats on its board. Swiss Re was reportedly reluctant to surrender so much control to the Japanese company. It announced last month that it expected to sell no more than 10% of its shares to Softbank. A Swiss Re spokeswoman declined to provide further details on why talks had been called off. A spokesman for Softbank also declined to comment. But the two companies are leaving the door open for future cooperation. Swiss Re said it will "further explore business ideas" between its operations and SoftBank's portfolio of companies. SoftBank is a tech and telecoms conglomerate whose international businesses include Sprint (S) and UK chip designer ARM Holdings. Son's $100 billion Vision Fund, which is backed by Saudi Arabia and Apple (AAPL), has invested in around 30 companies including Slack, WeWork and Nvidia (NVDA).